Hortus Conclusus, in latin – enclosed garden, invites the viewer to analyze the relationship with nature by including the physical and spiritual aspects of the body. Made up of wooden hanging structures, they contain aromatic herbs used in several cultures for medicinal or cooking uses. On the bottom of the structures there are open spaces where the spectator can interact with the work by introducing his head. 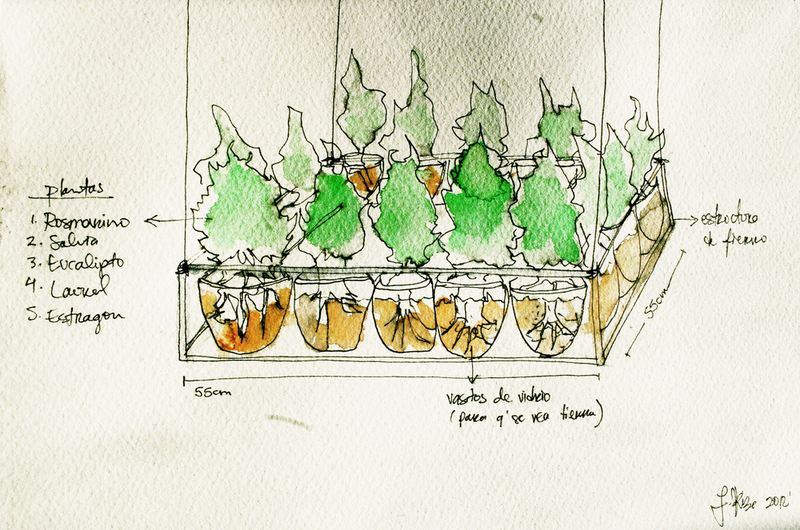 These small, "hanging" gardens invite the visitor to immerse himself into the poetics of memory and the unconscious by analyzing the relationship with space and nature that surround him.